Fish Out Of Water is the story of six feisty fish longing to soar above the ocean. 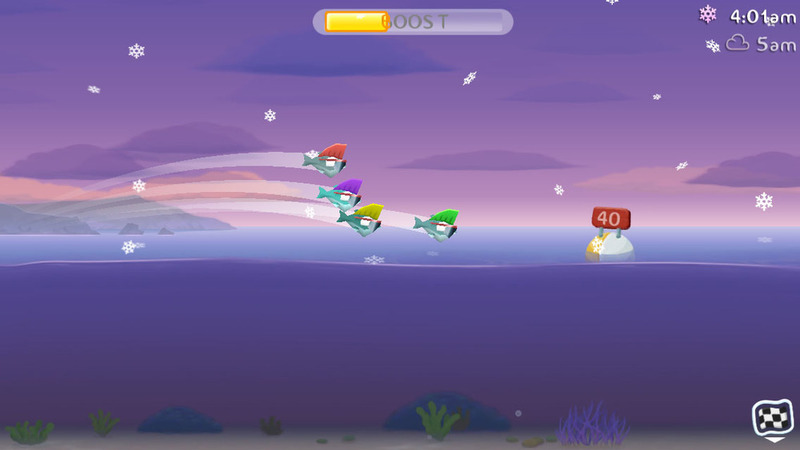 To help them get airborne, players simply throw their fish of choice out of the water and watch as it flies through the clouds and skips merrily along the waves. Battle the elements and choose your throw wisely as the weather changes every few minutes. Expect the unexpected with tsunamis, icebergs and even jellyfish swarms! The Crab Crew will score your overall performance, and that’s where the action really heats up. Compete in daily competitions with friends or a huge variety of individual challenges. Join a seaworthy search for the perfect 10! Worked as part of a small, motivated team using SCRUM/agile. Responsible for the design of Fish Out Of Water's mission system, working closely with the Chief Creative Officer. Designed many new mission types, and worked with a three person "strike-team" from concepts to final implementation. Conducted playtesting and iterated on mission difficulty, progression and balance. 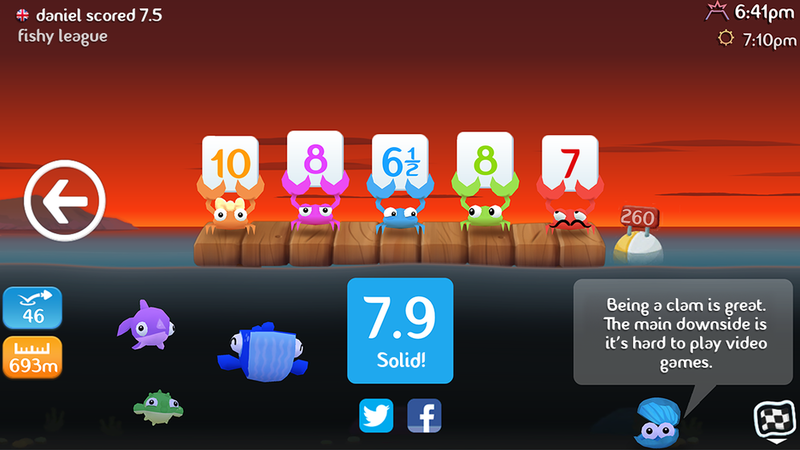 Co-designed a second scoring system ("Pro Score") based on player feedback, and implemented the user interface. Co-designed 12 new costumes that each provided unique gameplay. Conducted extensive balancing on the new costumes (Update 1.1) to ensure a fair and compelling system for a large international player-base.